A couple of media notices: Many thanks to Andrew Sullivan for the mention at his blog. 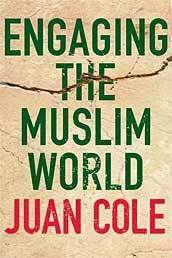 Also Ryan Blitstein authors one of the first reviews of the new book, Engaging the Muslim World, which will be in bookstores and also will be shipped from Amazon.com on March 17. Blitstein is a Chicago-based journalist.